If you’re seriously injured when you visit someone else's property you deserve compensation and to be able to hold the negligent property owner or another responsible party accountable. Property owners and their contracted property managers in New York have a responsibility to take every reasonable measure to protect the public from injury when visiting their property for business or pleasure. The courts take premises liability cases very seriously and damages for injuries resulting from a premises liability accident can be substantial. At the Maurer Law Firm, we also take premises liability cases very seriously and are here to help if you suffer a catastrophic injury due to negligent security or an unsafe environment on another’s property. In the sections below, we briefly discuss the most common forms of premises liability cases that we see from our New York clients. If you or a loved one was severely injured in on another person’s property due to some form of negligence, please call the Maurer Law Firm, PLLC, at 845-896-5295 for a free consultation. Our experienced New York attorney serves Fishkill, Myers Corner, Beacon, LaGrangeville and the nearby areas of the Hudson Valley. 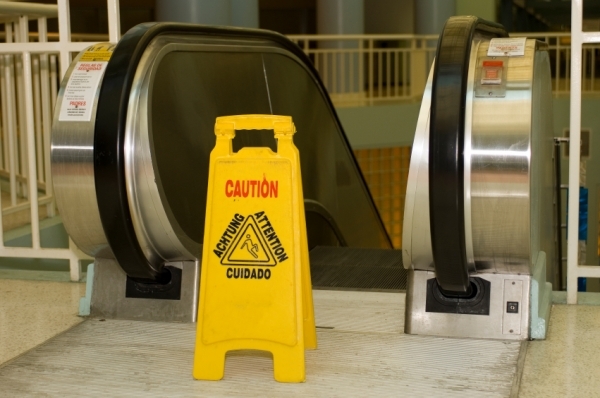 When you’re injured in a slip and fall accident, the resulting physical injuries can be quite severe. If the conditions leading to your injury should have been prevented by the property owner or another responsible party, then you may be entitled to compensation for your medical bills, lost wages, and other damages. In order to prove negligence in a slip and fall case, you must establish that the owner knew or should’ve known about the dangerous condition and had a reasonable amount of time to fix the problem prior to the accident. Attorney Ira Maurer has decades of experience investigating and pursuing slip and fall accident claims in New York and has won more than 1,000 personal injury verdicts and settlements. Under New York premises liability law, a property owner has the responsibility to adequately remove a hazardous, slippery condition in a timely manner or, barring quick removal of the ice, snow, or standing water, place a visible warning and barrier around the hazard to guard against public access. Taking a slip and fall injury claim to court requires strong evidence that the property owners blatantly ignored the hazard and failed to take reasonable and timely action to eliminate the hazard or created the dangerous condition with poor snow removal procedures. Homeowners and business owners with public sidewalks running in front of their properties are required by law to keep the walkways free of hazards and otherwise maintain the sidewalks in a way to prevent injuries to the public. Sidewalk accidents are typically trip and fall accidents which can result in serious musculoskeletal injuries involving bones, ligaments, and tendons. The same is true for private businesses and municipalities that operate public parking ramps or parking lots in New York. They have a legal responsibility to keep the property maintained and clear of hazards that put the public in danger. In the event of an injury resulting from an accident or slip and fall in a parking lot, the property owner may be held liable for damages if the victim is able to show that negligence was a cause of the accident. Municipal liability: If your accident occurred on city property or upon a sidewalk fronting an owner-occupied one or two-family home, you must overcome a number of legal hurdles to bring a claim against the City of New York. You also must file a Notice of Claim within 90 days of the accident. Private party: In most but not in all cases, private property owners are liable for the accidents taking place on sidewalks, parking lots, or ramps that face their property. Utility companies: If a utility company (power, telephone, gas, cable, water, etc.) negligently performed sidewalk, parking lot, or ramp construction, repairs or demolition, which resulted in an accident, the utility company may be held liable for damages. Owners of business properties that serve the public are responsible for taking reasonable measures to protect their clientele from assault and injuries caused by unruly customers or potential assailants. If you were injured in a bar fight or were otherwise assaulted on the premises of a private business or municipal property, you may be entitled to monetary damages. Assault and negligent security cases are complex because the property owner often disavows responsibility for the criminal acts of an individual. Attorney Ira Maurer knows how to investigate the evidence to find legal liability on all responsible parties. Just like with security, homeowners and business operators who host visitors after dark are expected to provide adequate lighting to offer a reasonable level of safety for guests, visitors, and customers on their property. If lighting is not adequate to illuminate potential hazards or provides a safe haven for muggers and robbers lying in wait, the property owner can be found liable for financial damages resulting from an injury or wrongful death. If your injuries were the result of negligence by a third-party contractor who entered a contract with the premises owner, it can be difficult to hold that party liable for negligence. This might include a slip on ice or snow in an area cleared by a snow removal company or an injury caused by a negligent maintenance company. In New York, there are very limited situations where a third-party contractor can be held liable for accidents on the owner's property. This limited liability stems from a New York Court of Appeals ruling in Espinal v. Melville Snow Contractors. In Espinal, the plaintiff brought a personal injury claim against a snow removal company that entered into a contract with the property owner to remove snow and ice. The plaintiff claimed that the third-party contractor negligently removed the ice, resulting in the plaintiff's injuries. In Espinal, the court affirmed the lower court's decision to dismiss the claim against the third-party contractor, finding that the plaintiff did not detrimentally rely on Melville's snow removal and that Melville had not entirely displaced the property owner's duty to clear snow and ice under its contract. If you or a loved one has suffered harm due to the negligence of a school, you may be able to obtain compensation for your economic and noneconomic losses. Whether a child (or the parents of a child) injured on school grounds can sue the school for damages depends on several factors including whether the legal concept of “sovereign immunity” might prevent a lawsuit altogether. Most government agencies, including states and the federal government, have immunity from lawsuits, which means that they cannot be sued. This is called “sovereign immunity” when it is applied to the federal and state governments, and “governmental immunity” when it is applied to the city, county, and other smaller governments, although “sovereign immunity” is often used as a blanket term. Typically, a public school district will be considered an agency of the local municipal government. While they’re immune, most government agencies waive their immunity and allow themselves to be sued under specific conditions. However, there may be narrow constraints. Most states have a very short statute of limitations for when a plaintiff can sue for a personal injury caused by a government agency, typically from six months to two years. Most states also require the plaintiff to notify the responsible agency of the intention to sue before the case can begin. For example, depending on the state, this means that a plaintiff must identify and notify the responsible agency that he or she is going to sue and the details of the suit within six months of the accident. In New York, a Notice of Claim must normally be served within 90 days of the child's injury and a lawsuit must be filed within one year and 90 days of the child's injury. Perhaps the most frequent claim against a school is negligent supervision, i.e. if the person in charge had done their job properly, the injury would not have happened. Negligence claims are typically not treated differently than premises liability claims under sovereign immunity rules. In other words, unless there is insurance or someone was very negligent in failing to supervise properly, or committed some other very negligent act, suing for damages will probably not be an option. A common defense to a personal injury claim based upon negligent supervision is that the child assumed the risk of injury as a natural part of the activity. In New York, the courts have said that in assessing whether a defendant has violated a duty of care in the context of an injury sustained during a sport or game, the court must determine whether the defendant created a unique condition “over and above the usual dangers that are inherent in the sport” (Morgan v State of New York, 90 NY2d at 485, quoting Owen v R.J.S. Safety Equip., 79 NY2d 967, 970). Winning a full and fair money settlement or jury verdict takes more than evidence. As an experienced trial lawyer with more than 40 years of experience, attorney Ira Maurer knows that evidence alone doesn't win a case. It's the human story behind the evidence that makes the difference. Not only does he ask questions about your accident and investigate the evidence, but he also needs to know how your injury affected your future and what that loss means to your life. In the case of gross negligence on the part of the property owner, you may also be entitled to seek punitive damages, which serve to punish the negligent party. In New York, punitive damages can be obtained under limited circumstances. There may be damages available from the party charged with assault. To find out if you have a legitimate premises liability case, please call the Maurer Law Firm at 845-896-5295 to schedule a free consultation with experienced attorney Ira M. Maurer. Our office is in Fishkill, and we serve clients in Myers Corner, Beacon, LaGrangeville and nearby areas of Hudson Valley.